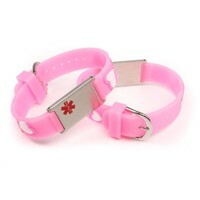 Perfect to point out your child's need in case of any emergency. First responders can act accurate because of this information. Peace of mind for you and your child. On the back there is space for 5 lines of text. We use a laserengraving machine to engrave the text and therefore it will not fade. 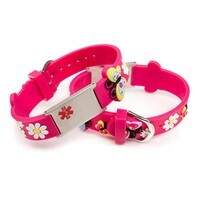 This bracelet features a soft rubber strap. Medical information can be engraved onto the icetag and there is space on the back for contact details and other important information. 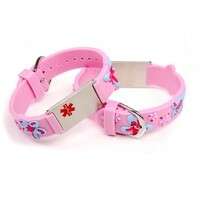 To fit wrists between 5.5" and 6.5" (14cm to 16.5cm).